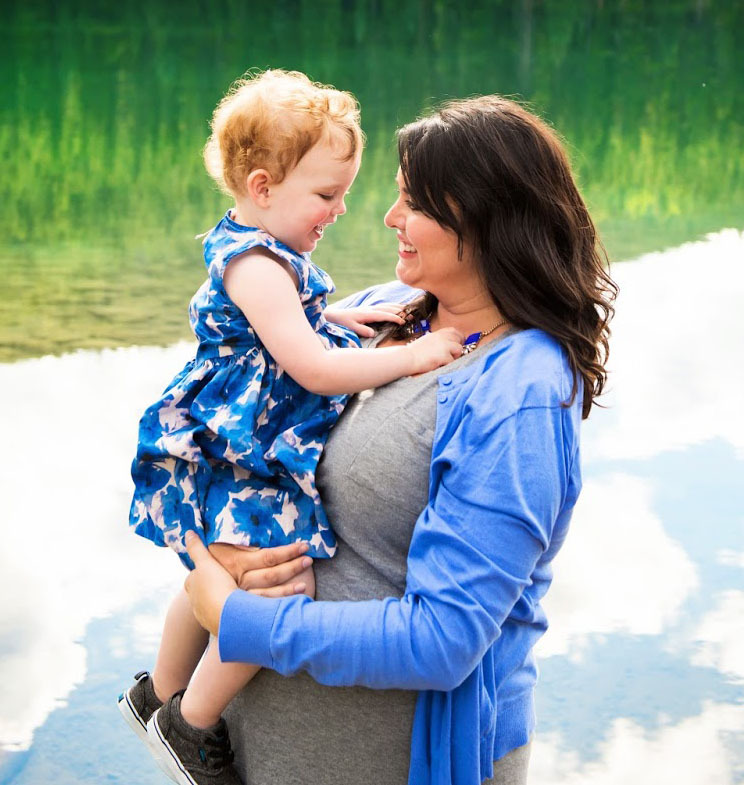 This post is not meant to insult those wonderful ladies who are seasoned outdoorswomen. It is only meant to show women who like their comforts (like me) that camping really can be for everyone. ... And yes, I mean REAL camping and not glamping! Many of my friends are surprised to learn that I love the outdoors. It is a hobby which has also become important to Corey and now it's a passion we share together. Why are people surprised that I would choose to spend my weekends covered in bug spray? Probably because I tend to be a "Type A" individual and some people may even describe me as high-strung. In short, I like things a certain way; I like to schedule my free time; I enjoy working and planned activities; and I enjoy clean surroundings. 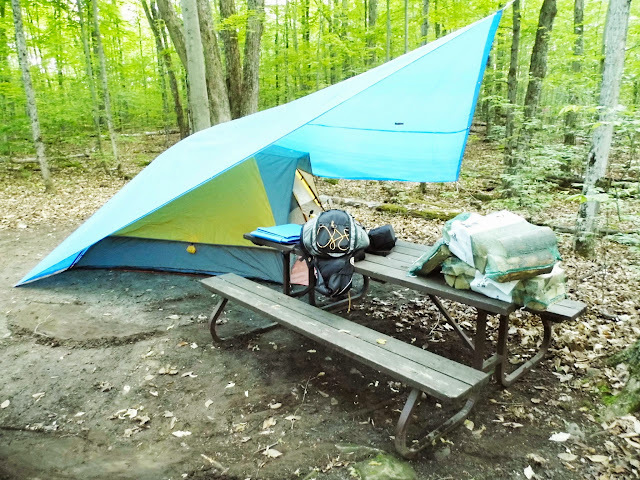 I realize that this isn't exactly a recipe for a great outdoorswoman but I've found some ways to make camping more enjoyable for a city gal like me, and I'd love to share my hobby with you! First of all, I should tell you that I come from a camping family. Every summer, my parents would pack up the cars (that's right, they had so much stuff to make our trips comfortable that they took both cars!) 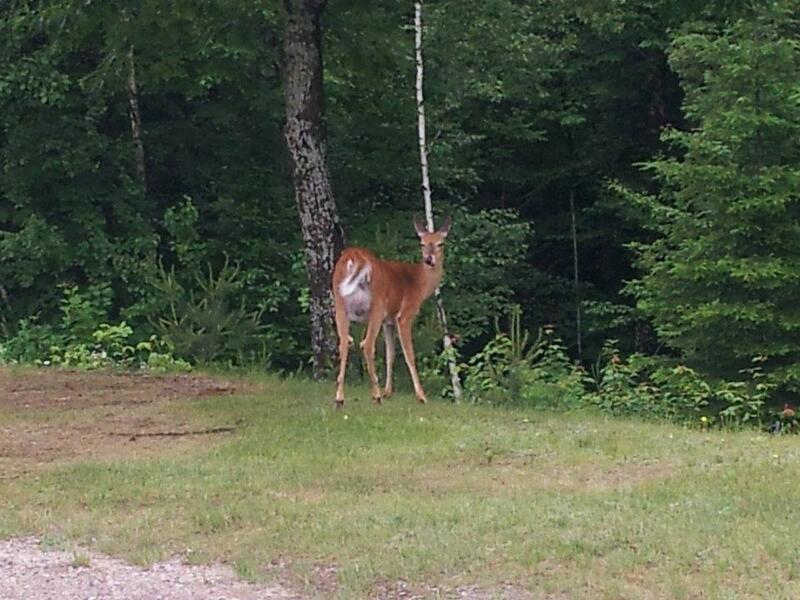 and headed to Bon Echo Provincial Park. These trips were always the highlight of our year and some of my best memories were of building the fire, hiking, mountain biking, watching the stars, collecting frogs and singing songs around the campfire. Don't get me wrong: Corey and I love living in the city. In fact, living in Toronto is so important to us, that we were willing to sacrifice space and an extra bedroom in order to stay in the 416! But even with our backyard oasis, there's something special about being truly far from city life that feels really special and distinctly summery! It forces me to relax. Instead of trying to think of something productive to do, I am forced to just go for a hike or sit and read. It is quiet. There's something really magical about the sounds you hear when you subtract all the sounds of the city. Corey and I connect. It's great to have nobody else to talk to for a couple of days. It forces us to talk and learn new things about each other and, just really catch up and connect. It's a treat for the senses. Not only is the scenery gorgeous, but nature actually smells beautiful! The photo above is a picture of our favourite campsite ever! 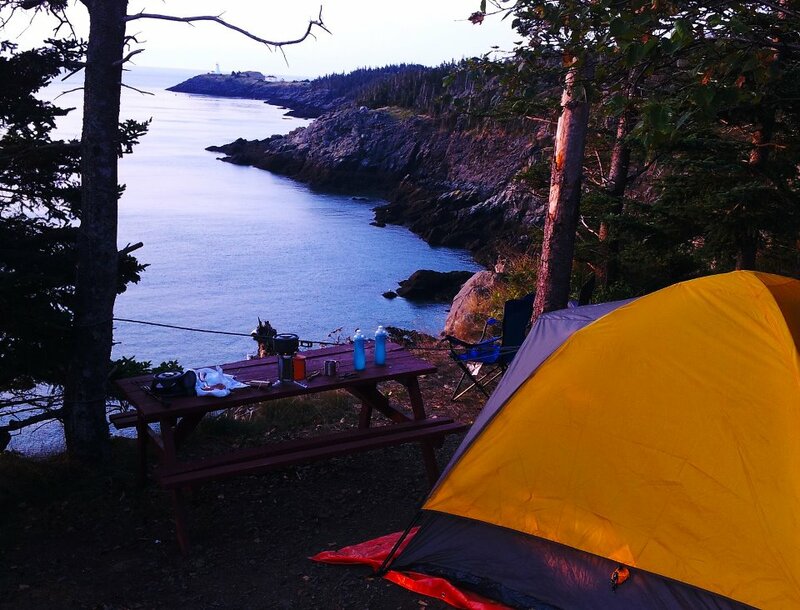 We were camped on the edge of Grand Manan Island (at Hole-in-the-Wall Campground. Yes, that's the actual name and it's named after a famous rock formation.) and on the other side of that picnic table, is a cliff that overlooked the ocean. We spent the evening sitting on the edge of the cliff and watching the seals play in the ocean below us. We also camped for a couple of nights on the mainland at Fundy National Park, which is beautiful in a different way. 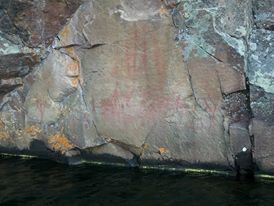 ... and canoeing along the side of Mazinaw rock so that we could see the pictographs up close. So now that you've accepted (hopefully) the awesomeness that is camping, I'll share some of my tips to make the trip a little easier. Our all-time favourite camping gadget was purchased online. 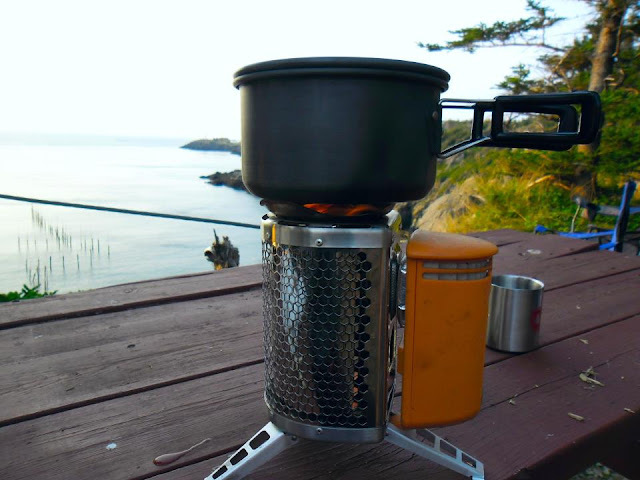 The BioLite Stove (below) burns dried twigs (so there's no need to bring fuel) and actually converts the heat from your fire to electricity to charge a phone, camera or light. 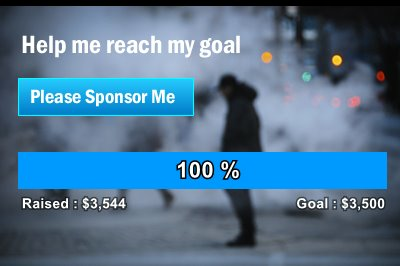 It's amazing and the company is using their technology to help the developing world, so we feel really good supporting them. Aside from obvious stores, like Canadian Tire, Mountain Equipment Co-Op is our favourite place to find camping gadgets that we didn't even realize we needed. That's where we purchased our head lamp flashlights, candle lanterns and the lightweight cook set pictured below. Do yourself a favour and pack light. Bring your tent, flashlights, a lighter, a bucket, lots of tarps, pegs, rope, a good knife and hatchet, bug spray and sunscreen. You typically buy wood at the park, since you don't want to introduce new insects to the habitat. Aside from that, there are kit lists all over the internet. Do yourself a favour and bring more socks than you think you need, a good book and a big cooler. We usually bring packs of condiments from fast food restaurants and just shop for ice, hot dogs and other food once we're closer to our destination. The best thing about camping is that there's no schedule. 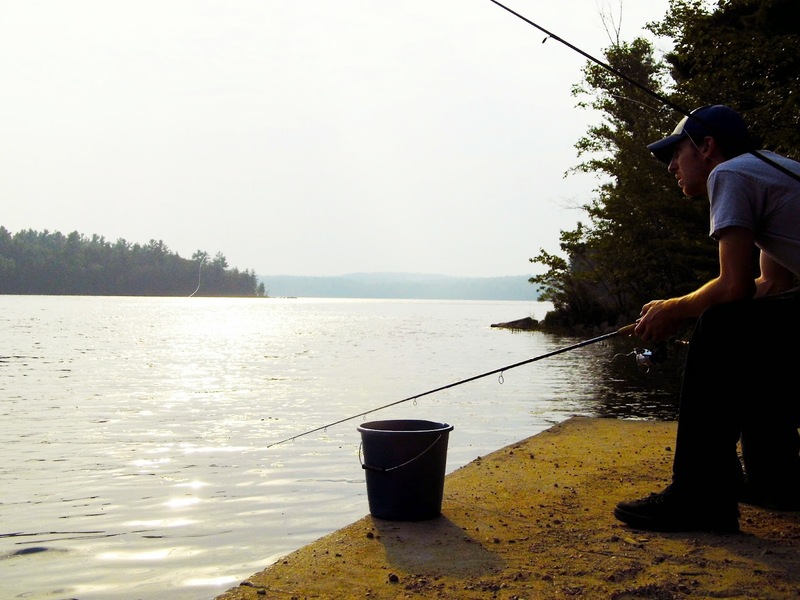 That being said, we usually bring our fishing gear (and licences) and plan to wake up early at least one morning to go fishing. If you want to rent a boat or canoe, you can usually find out ahead of time if there's a rental place nearby. Some people like to go to the beach, but we prefer to hike, read and enjoy the wildlife. We usually bring an iPod or guitar to sing songs around the campfire. For us it's a chance to slow down and enjoy our own thoughts. First of all, bring drinks! Also, bring some of those Starbucks individual packets of instant coffee and a coffee mug! You'll thank me later. Everything tastes better outside so here's a list of our favourite things to eat. Hotdogs. Normally these gross me out... but they taste really good when you cook them over a fire. Corn and baked potatoes. These are best done in tin foil. They take longer than you expect so put them on the fire early. Pancakes. We usually premix our batter at home and bring it in a squeeze container. Sometimes we'll add wild blueberries if we pass a farmer's market on the way. Don't forget napkins, dishes and cutlery... we usually each bring our own spork. Put a tarp under your tent, as well as on the ground inside the tent and outside over top. The extra protection against moisture will make life more pleasant. French braid your hair before you leave and try not to touch it if it's just a weekend trip. The second you touch it, you'll want to wash it. If you need to shower, most provincial parks have 'em. Bring flip flops and use unscented shampoos. Don't be that girl applying makeup and spritzing herself with perfume, only to leave the restroom and walk into a cloud of mosquitoes. Those girls are the camping equivalent to that guy who practically bathes in Axe body spray and then drives his mom's minivan to the club. Air mattress and pillow. Nobody needs to know. Keep the fire bucket full of water to rinse your hands when they feel disgusting. I always have some biodegradable soap on hand around the campsite. Chill out! You're probably not going into the middle of nowhere your first time. If you forget something, you can probably buy it in town. Learn a skill that you can be proud of. By now, I could probably set up our tent and tarp the campsite with a hand tied behind my back, but learning to build a campfire is a great survival skill... and it's fun too. There are tutorials all over like this one, but don't over think it. Bring heavy gardening gloves, twist some newspaper into long sticks, add some dry kindling and build your tepee around it. Presto! If it's going out, you're probably smothering it. If it's smoking too much, your wood's probably wet. Make sure you cover it with a tarp at night. This isn't rocket science... but it is pretty satisfying! You have nothing to prove. 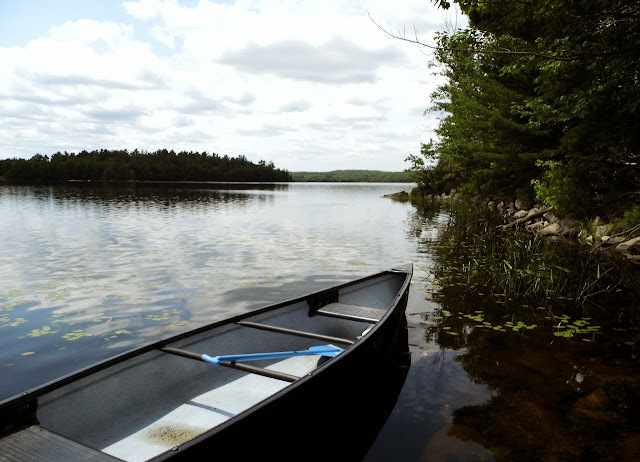 If you're inexperienced, don't sign up for a canoe trip on your first outing. If you need to ask what a thunderbox is, you don't want to know. Instead, opt for a campsite where you can park your car. That way, the cooler can go in the car overnight and you don't need to worry as much about animals. Remember: Raccoons are not scary wild animals. If you see them in the city, they shouldn't scare you in the wilderness. Also, daddy longlegs are not real spiders. You'll have a better time if you keep these facts in mind. Take lots of pictures. Nature's really beautiful, and you'll want to remember that while you're shovelling snow in January.